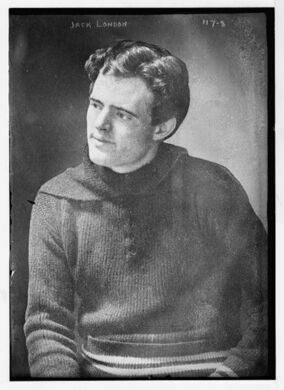 Jack London, well know as the author of Call of the Wild and lesser known as a booze hound and ladies man, died in the small town of Glen Ellen, 60 miles north of his hometown San Francisco, three years after his dream house, known as the Wolf House, caught fire and burnt down. 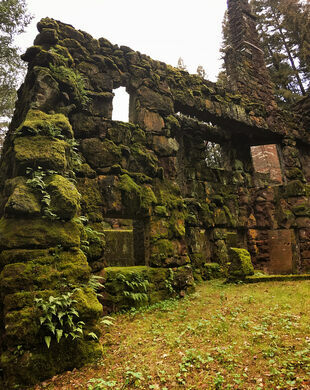 While the ruins are known as the Wolf House, Jack and wife Charmian London lovingly called their dream house “The Big House” or “The Castle.” A big house it was; 15,000 sq ft, four stories with twenty-six rooms and nine fireplaces, and designed in a mixture of Spanish, exemplified by the terracotta tile roof, and Craftsman Styles, seen in the log cabin exterior and detailed wooden interior. The Wolf House was to become the London’s home, Jack’s workshop, Charmian’s tower, and an oversized cabinet of curiosities filled with the London’s unique collection from their world travels. Albert Farr of San Francisco designed the house and construction began in 1910. 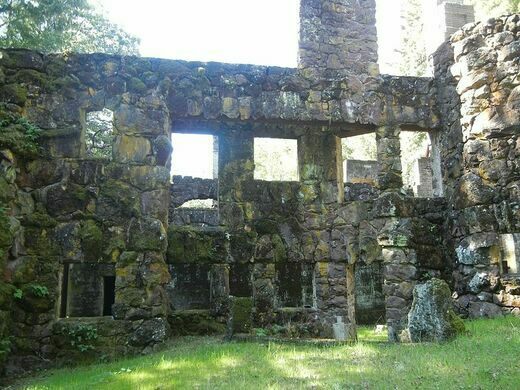 The dream home was nearly completed in August 1913 when it burnt to the ground. In 1995, a team of forensic experts concluded that the cause of the fire was likely due to a pile of oil-soaked rags, left by workers, spontaneously combusting. Jack vowed to rebuild the Wolf House, but with an insurance policy only paying out 1/8 the amount of money already poured into the project, he died three years later of kidney disease, having rebuilt very little. What’s left today are the haunting remains of the London’s dream home. 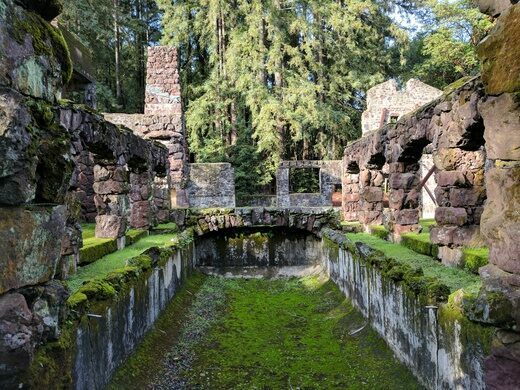 The two lower stories of rock remain mostly intact, covered in moss and sprouting ferns, while the five towering chimneys built to support nine fireplaces are held up by massive steel support beams. 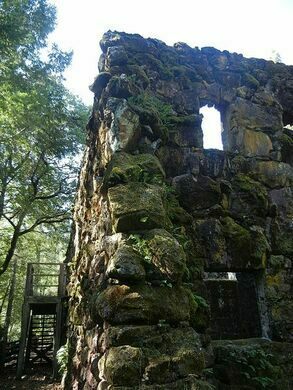 A wooden walkway guides visitors around the ruins, keeping them safely away from the chimneys while affording beautiful views of the stone remains. 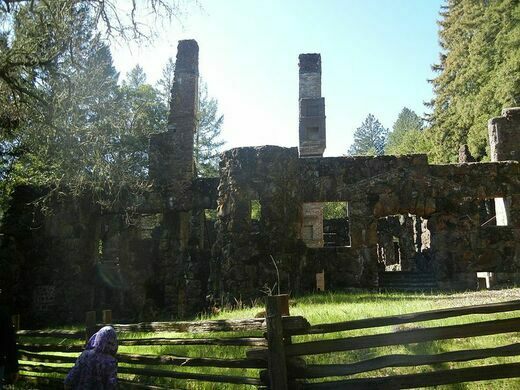 Jack London State Historic Park houses the London’s collection in the Happy Halls House, which wife Charmian built after Jack’s death. Most of the furniture was custom built for use in the ill-fated Wolf House, and a corner of the house is set up to preserve Jack’s writing studio as it would have looked when he died. In this house the music of the time is played on the London’s piano by a talented volunteer and the walls are decorated with curiosities from around the world. As short walk from this house is the “Country Cottage” where they lived until Jack’s death and, if you are lucky, a docent will show you around the amazing gourmet kitchen. 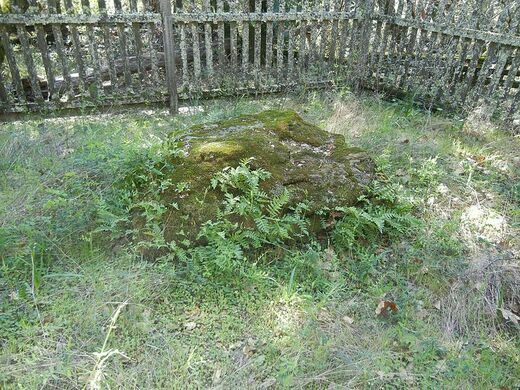 A short walk in the opposite direction are the graves of Jack and Charmian London.